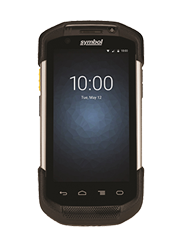 The TC72/TC77 is the professional-grade Android device built from the ground up for the enterprise. Every TC72/TC77 ships with Mobility Extensions (Mx), a series of features that transform Android™ from a consumer operating system (OS) to a true enterprise-class OS, enabling enterprise-class security and device management, as well as support for enterprise data capture capabilities. Streamline your path to mobility with the complete, yet simple, Mobility DNA. Including off-the-shelf, end-user apps; robust administration utilities and effortless app development tools, all of which integrate with our mobile devices, this suite of mobility solutions is the fastest, most comprehensive way to go mobile.